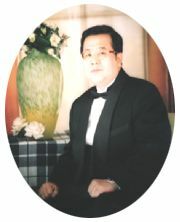 Chung Hua EELY Enterprise Group was set up by the founder and chairman, Mr. T.H.Hung, in 1981 in Taipei, Taiwan. In 1991, EELY Group relocated its manufacturing facilities to Mainland China, and so far the Group has established three manufacturing factories including: EELY-ECW Technology Ltd (ITO); KunShan EELY-ECW Co.,Ltd (FPC) & Shanghai EELY-ECW Co.,Ltd(MKS), with total work force 8,000 employees, among which over 400 are engineers. With the Group mission statement: "to be human-oriented and care for life; to continuously improve in quality; to save energy and protect environment; to provide convenient services; to satisfy the customers", we are devoted to the development and research of new products, new processes, new materials and new facilities, and to win the trusts and supports from the customers worldwide with the core value of high quality, timely(prompt) response, and innovation. To build up a hundred-year enterprise, we have established a good and long-term partnership with the world-class enterprises and the brilliant suppliers, and we believe in only adhering to developing and growing with the customers, the suppliers and the equipment manufactures could we make a hundred-year enterprise come true. EELY Group, which has become one of the leading manufacturers in the market with the advanced technology and excellent quality, focuses in producing Touch Panel for mobile phone and tablet PC with the production capacity of over 10 million units per month. EELY Group has received the approvals including QC080000、ISO9001、ISO/TS16949、ISO14001、OHSAS18001、CE、FCC, and its production facilities have been determined as high and new tech enterprises within its own area. We will uphold the consistency in corporate philosophy of being the leading manufacturers in the market, and provide the partners and customers all over the world with the outstanding products and better services.